On the twenty-third of this month [December], we commemorate the Holy Ten Martyrs who were martyred in Crete. Enter beheaded into the fold of the Martyrs. 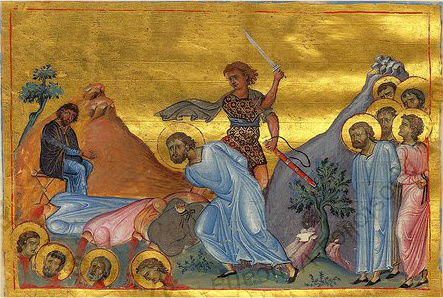 On the twenty-third ten men from Crete were beheaded. 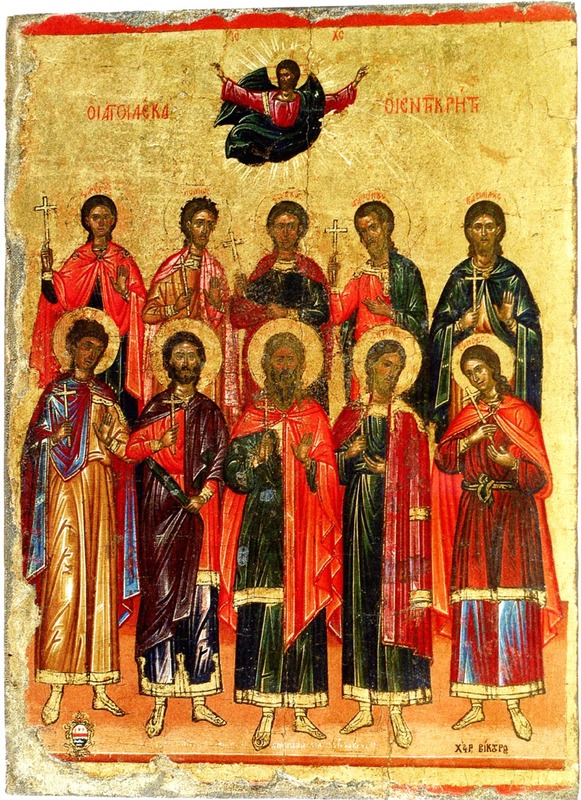 These Saints lived during the reign of Emperor Decius (249-251), and were from the island of Crete, though not from a single city, but from its various cities and villages. Five were from the Metropolis of Gortyna, namely Theodoulos, Saturninus, Euporos, Gelasios and Eunikianos. Zotikos was from Knossos. Agathopous was from the harbor of Panormos. Basilides was from Kydonia. Evaristos and Pompios were from Heraklion. 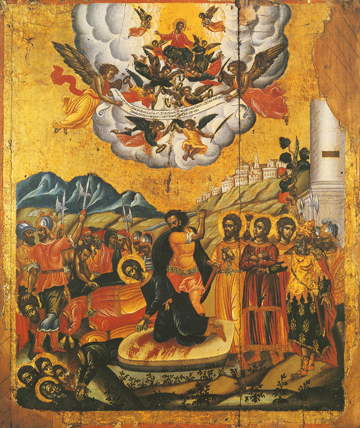 These men were delivered by unbelievers to the prefect of Crete. 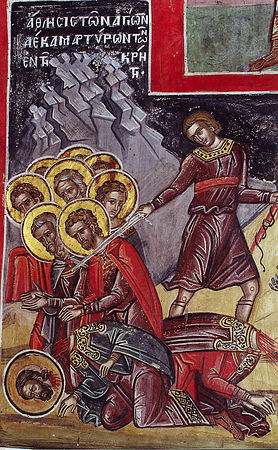 The prefect ordered his executioners to bring them before the altars of the idols, and if they were not willing to sacrifice to them, they were to punish them with various punishments. For a period of thirty entire days, these athletes of Christ were prosecuted by the lawless Greek pagans, and they were mocked, beaten, stoned and slapped (with an open hand they were slapped in the back of their necks which would make a noise that would bring laughter to those who stood around around them). They were hit in the face, and dragged along the ground over dung. The prefect then sat down on his judgment seat, and they stood before him. 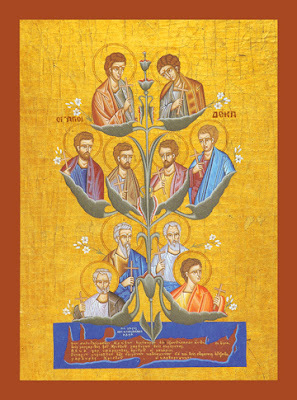 And seeing how they were firm in their mind, and remained steadfast in their faith in Christ, he ordered that the bodily members of the Saints be disjointed. Having suffered many torments, they were finally beheaded. In this way the blessed ones received the crown of martyrdom. Their Synaxis is celebrated in the martyric Temple of Saint Stephen, in the place known as Plakidion. In the south-west end of the village of Hagioi Deka (Holy Ten), which is located in Alonia (Threshing Floor), the residents of the village created a small lake which was fed by the nearby river Litheos of Keras. At this lake the villagers watered their animals. These waters were dark and not clean. As the time passed, the villagers noticed that the waters had therapeutic qualities. The story of the young shepherd in 1898 and the miracle which is associated with him confirm the above belief. A young shepherd who used to take his flock to graze in the area where the Ten Martyrs were, at one time, got very sick. He was so sick and had such a high fever that he was unable even to walk. He had no one to help him and so he started praying to the Holy Ten to help him. And behold, the miracle happened. 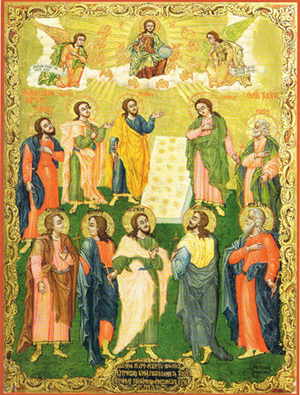 The Holy Ten appeared to him and advised him to go to the lake and drink from its water and he would be healed. The young shepherd obeyed the order of the Saints, went to the lake, drank from its water and his fever disappeared immediately. Very happy for his healing he went to the village and announced to the villagers his miraculous healing. Since that time the lake became a place of healing. Many Cretans from all over Crete, as well as people from other areas went there and after they bathed in the lake they were healed. 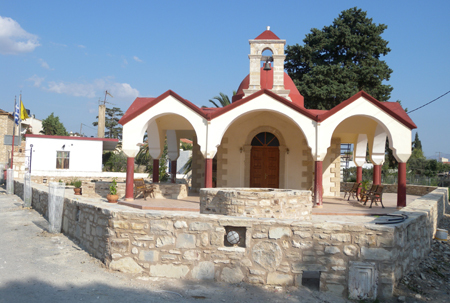 The elders of the village mentioned all the miracles that were associated with the lake to the Spiritual Father of the Monastery of Koudoumas. He, in turn, informed the local Bishop, Vasilios Markakis, who decided to go to the location in 1902, and after he studied the area he decided to dry the Holy Lake with the firm belief that under the lake there must have been a Holy Place. The intuition of the Bishop proved true. 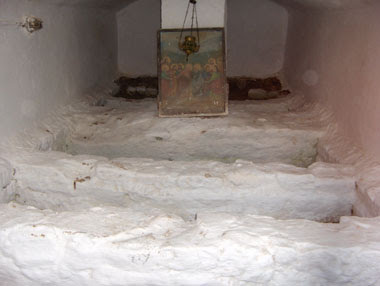 At the bottom of the lake the tombs of the Holy Ten Martyrs were discovered. 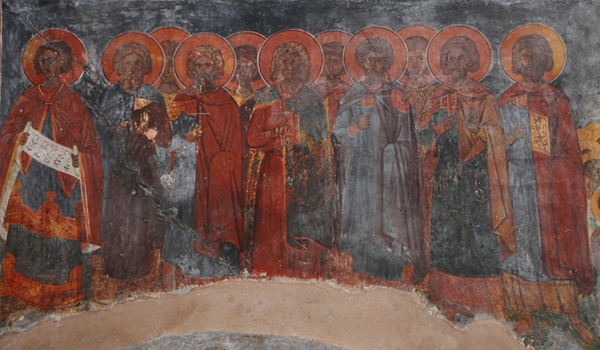 Immediately Bishop Vasilios built on the spot a small church dedicated to the memory of the Holy Ten Martyrs. Since then that holy and blessed place is known as the "Holy Lake." 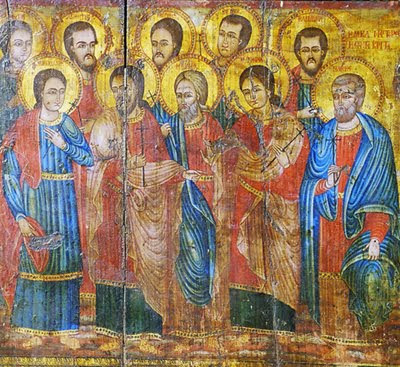 This icon was miraculously saved from a fire in 1986. 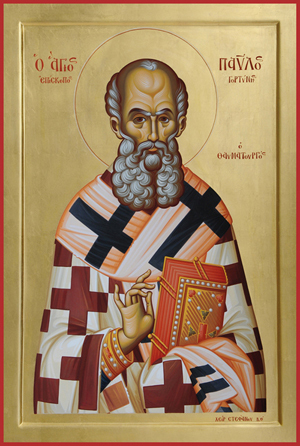 Let us now honor Crete, that land most marvelous, which sprouted forth the ten flowers revered by all, those goodly pearls of Christ our God, those verdant boughs of the Martyrs; for although they were but ten, the most blessed men put to shame the ten thousand armored host of the wicked demonic ranks. 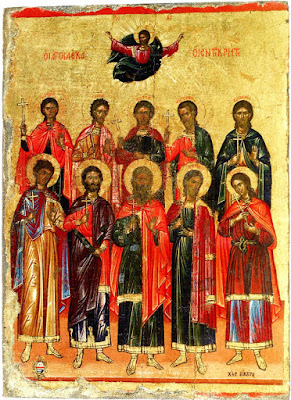 And hence, they have received crowns of glory as stout-hearted Martyrs of Christ the Savior. Shining like a morning star, the Martyrs' contest, worthy of all reverence, hath shown beforehand unto us Him that was born in a lowly cave, and Whom the Virgin conceived without seed of man. Let all the faithful honor with hymns and praise Crete's Ten Martyrs of Christ, who valiantly endured the tortures of the tyrants and shed their blood at the hands of the lawless.